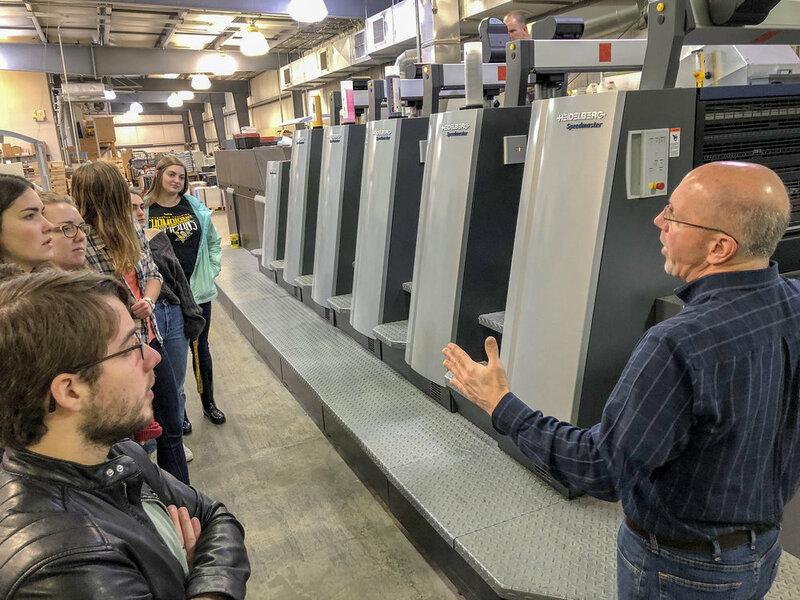 Graphic Design majors were excited to see the behind-the-scenes of printing at Laurel Valley Graphics. They received a premiere tour of the pre-press, printing, and binding areas. Thanks!